America has been dead to me since election night. Self preservation prescribed absolute avoidance of U.S. media. Hearing his voice, seeing that orange face, reacting to Trumpish ascension without blind rage, perfectly good reasons to wash hands of the sordid affair. All well and good until ambushed by CBC radio this afternoon. But for missing that last green light, I might have been out of the vehicle when “U.S. scientists are scrambling to archive environmental research in Canada before Trump inauguration” shot resolve to smithereens. Oh crap! I knew Trump appointed climate denier Scott Pruitt to head the EPA, now I had to look into the impetus of a news bomb. • May 2011: As Oklahoma Attorney General, Scott Pruitt sues the EPA, alleging that the federal agency violated its own procedures in rejecting a state plan to reduce regional haze at three coal plants. In May 2014, the U.S. Supreme Court declined to review Pruitt’s challenge of the EPA’s plan for reducing haze. The EPA’s plan is designed to reduce pollution from coal-fired power plants and industrial sources to improve visibility at federally managed wilderness areas such as the 59,000-acre Wichita Mountains Wildlife Refuge near Lawton. It would target coal-fired power plants operated by Oklahoma Gas and Electric Co. at Red Rock and Muskogee and another operated by American Electric Power-Public Service Company of Oklahoma at Oologah. • September 2011: Oklahoma joins other states in challenging an EPA regulation of power-plant air pollution that crosses state lines. 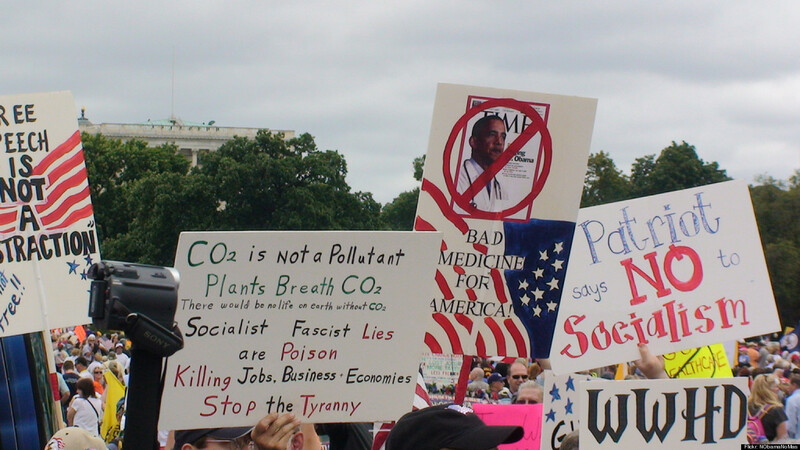 In 2014, the U.S. Supreme Court upheld the cross-state air pollution rule, which is scheduled to take effect in May 2017. • July 2013: Pruitt and his counterparts in 11 other states sue the EPA in federal court, alleging violations of the Freedom of Information Act. The states sued after the EPA denied a request for communication records between the federal agency and nonprofit environmental groups. Pruitt claimed that the agency encourages certain types of lawsuits by nonprofit environmental organizations, such as Greenpeace, Defenders of Wildlife, WildEarth Guardians and the Sierra Club. The EPA then settles the suits by entering consent decrees that contain obligations not found in federal law, Pruitt claimed. A district judge dismissed the lawsuit in December 2013, siding with the EPA’s claims that the records request was overly broad and vague. • April 2014: Pruitt sent a letter to the EPA’s Office of the Inspector General, questioning plans to evaluate how the agency and states have done in regulating hydraulic fracturing. • August 2014: Pruitt joined 11 other states in a suit challenging the Environmental Protection Agency’s regulation of greenhouse gases. Filed in the District of Columbia Circuit Court of Appeals, the suit specifically seeks to throw out a 2011 settlement in a lawsuit brought against the EPA by 12 states, the District of Columbia and three environmental organizations. In the settlement, the EPA agreed to begin regulation of greenhouse gases under the Clean Air Act. • July 2015: Pruitt sues the EPA in Tulsa federal court over the agency’s plan to rein in pollution from coal-fired power plants. In a news release, Pruitt described the EPA’s Clean Power Plan as “an unlawful attempt to expand federal bureaucrats’ authority over states’ energy economies in order to shutter coal-fired power plants and eventually other sources of fossil-fuel generated electricity.” The lawsuit was later dismissed by a judge on jurisdictional grounds. • July 2015: Pruitt files a lawsuit in Tulsa federal court challenging the EPA’s new rules governing pollution controls on waters governed by the Clean Water Act. A judge later dismissed the lawsuit on jurisdictional grounds. An appeal is pending. • October 2015: Pruitt joins 26 other states in challenging the EPA’s Clean Power Plan rules just after they became effective. The new rules require states to cut carbon emissions by 30 percent by 2030. Each state has a customized target and is responsible for drawing up an effective plan to meet its goal. All but two of the state challenges were filed by Republicans. The case is still pending in U.S. Court of Appeals for the District of Columbia Circuit. • August 2016: Pruitt joined a dozen other states in a lawsuit challenging federal regulations for methane emissions from new equipment at oil and natural gas sites. The rules are part of the Obama administration’s goal to cut methane emissions from the oil and gas industry more than 40 percent from 2012 levels by 2025. Scott Pruitt is why U.S. climate researchers scramble to preserve data before Trump’s buffoons assume positions of power. This entry was posted in America, Environment, Politics and tagged climate change denial, Donald Trump, EPA, James Inhofe, Scott Pruitt, U.S. Environment Researchers Scramble To Archive Data. Bookmark the permalink. It has been said that the US is the biggest threat to the world. If so, than that loudmouthed orange bully has just raised that threat – to the world – exponentially. I have concluded – or was it a decision? – that I won’t let the orange man determine my future. For the next 4 years, he will worsen many things, including the environment. In the meantime, let’s continue and even accelerate what we have been doing all the time. Develop clean energy, fight climate change and prepare a big up yours to this coal smoking profiteering clan of sell outs. I’ve posted several times about “Collapse” an HBO documentary featuring Michael C Ruppert. If you haven’t done so, give it a ponder. For the next four years at least, the U.S. is just one big flyover state to me. Orange is truly the new black. Thanks for this, Val. We’ll be lucky if he doesn’t kill us all…. I wish I could embargo all the news and simply not listen or care, but when did that ever work for an INTP personality? sigh…..